Sometimes, All life needs is just a little more bacon, because who doesn’t like bacon! We all can agree that bacon makes everything better, Bacon is considered to be the food that makes everything better, now what if you came to know that like for bacon as food as you add extra flavors, spices and different taste! You can also express yourself with a sense of humor, extra flavor, and give people a taste your loved ones will never forget. If you don’t know how to say it, let that bacon stickers app do the work for you. 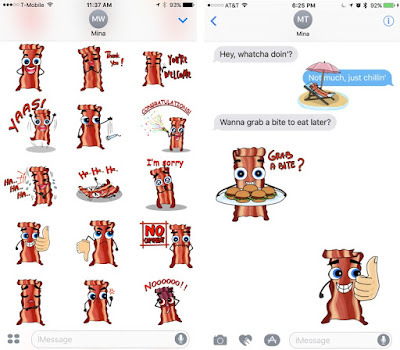 You can just get that done by adding a sticker app into your iMessage from iTunes appstore named as Wanna Bacon? developed by Mina Tadrous . and choose your desired expression and share it with your loved ones ,colleagues and mates. § Select a previously used iMessage app in recent if you have recently used that. What you’ll get with the app?! The pack of stickers currently have total of 63 stickers, including election-themed stickers. With the time pack will be increasing the number of the stickers and adding additional themes (i.e. Thanksgiving, Christmas, life events, etc). Don’t miss these hot-off-the-grill bacon stickers! The app is currently climbing the App Store charts and we made it in the top 150. 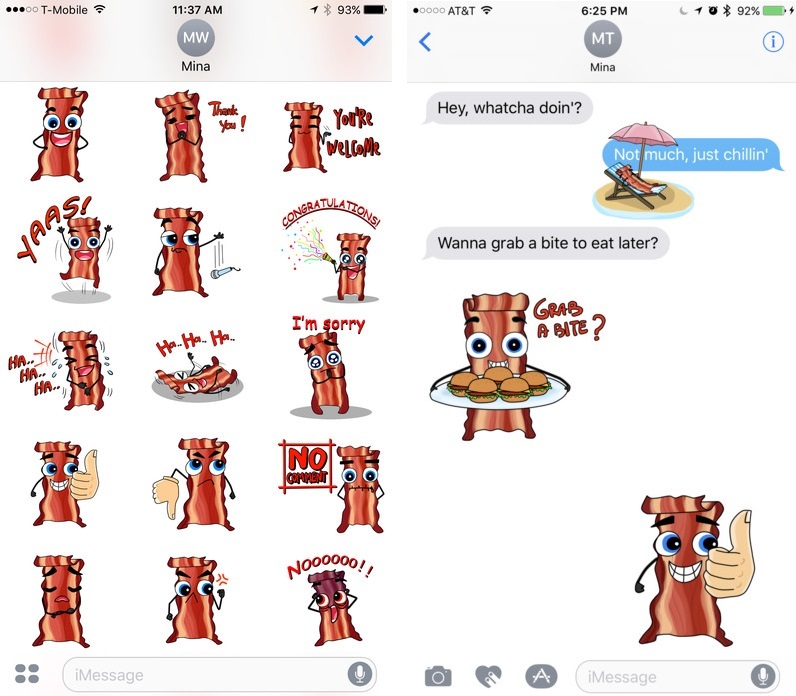 This bacon fun app a good addition to your iMessage! iTunes preview link: Wanna bacon?